All businesses function within a network of other people, businesses, and organisations, with a view to providing a mutual benefit. These benefits can be based on operational functions or strategic functions. Operational functions involve networks that help your business operate and provide services to your clients. These can include colleagues, supervisors, clients. Strategic networks relate to the aspects of your business that relate to development and growth of your skills and business services. Operational networks are viewed as the day to day function of your business, whereas strategic networks focus on the big picture of your business and how it can grow into the future. Understanding who is in your business network can help you develop better planning and marketing strategies. To understand who is in your business network, take a piece of paper (or document) and list all of the people you had contact with over the past month with regard to your business. You should also add any categories of people that you have contact with less regularly such as once a year. 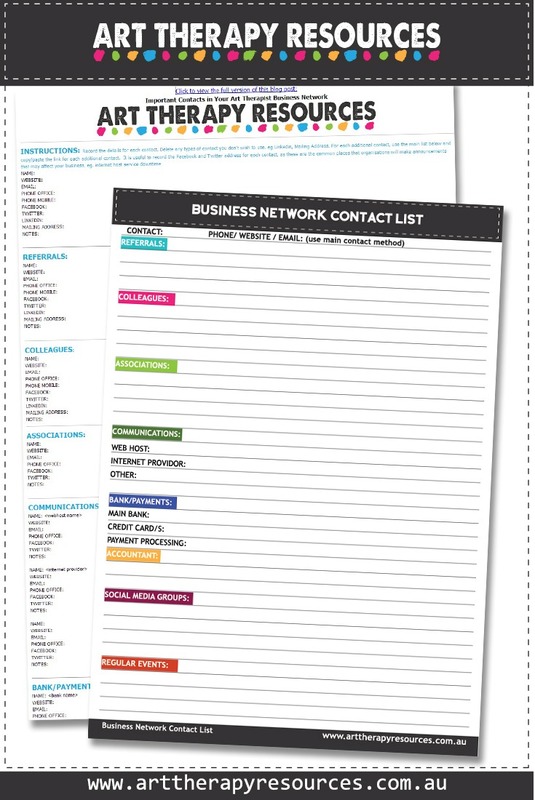 SIGN UP below to download the FREE business contact template to print and record your important contacts. 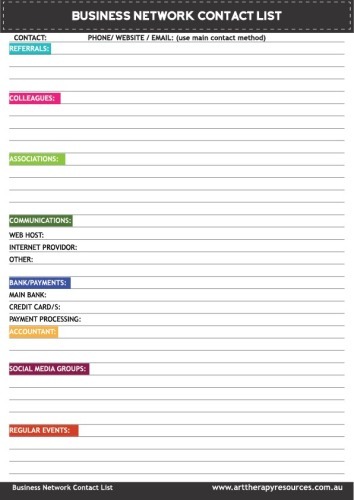 Download the Business Contacts Template.